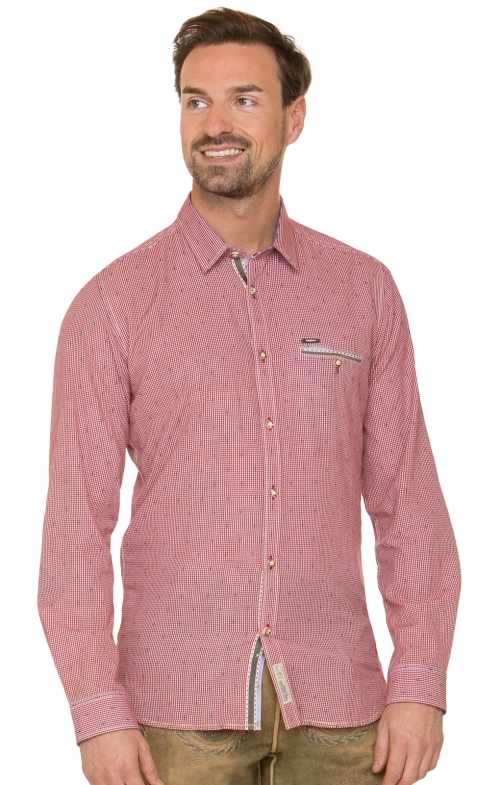 Traditional shirt Taylor "Modern fit" for men by Stockerpoint in red. The moderately narrow model of the Bergfeuer made of pleasant cotton blend convinces with traditional details. The gingham comes alive with the colourful, blue accents. The stylish contrast in the collar and in the cuff underline the modern, traditional look. A Kent collar as well as the rounded hem add a classic touch, while rustic horn buttons traditionally round off the overall picture. Tolle Qualität, toller Service. 5 Sterne völlig verdient.